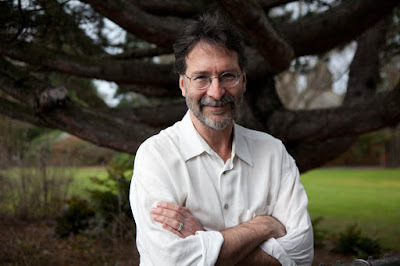 Brian Doyle, a writer who made music with his words, just died yesterday. I don’t write obituaries as news. 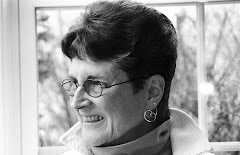 I write today because I feel deep sorrow at the loss of a writer so supremely deft with words that I am left wonderstruck. (The formal obituary is below.) I did not know Brian Doyle personally. I grieve his writing, much of which I’ve read. I would call Brian Doyle a Master of Words. He would, in his prose, pile words up—verbs, nouns, adjectives, adverbs—in heaps, and he never heeded the scorn of those who advise writers to use fewer adjectives and never an adverb. He wrote about everyday things and made them all shimmer with soul. He shunned no word that said what he meant and felt. Brian gave me courage to use as many words as I needed to match the energy of my emotional investment in whatever I was writing about. There’s no telling exactly why such attractions take hold and cement themselves into the human mind and heart, yet most of us know the experience, and most of us admit it feels irresistible, indispensable, immeasurable, irreplicable, mysterious, and tidal, all at once. So we follow it. If I hadn’t borrowed Doyle’s word-courage I would never have dared to use so many adjectives, one not even a legitimate word. But I felt each one. To pay proper tribute to Doyle’s faith along with his skill with apt words, here is a poem he wrote called God. Not kidding and this is not a metaphor. I am completely serious. Girls and one boy with a bright green and purple stegosaurus hat. Of course God would wear a brilliantly colored tall dinosaur hat! Hat celebrating some of the wildest most amazing developments? Doyle had a vibrant sense of humor and was obviously passionate about God, his Christian faith, Roman Catholic brand, and basketball—not necessarily in that order. He also adored little stories and noticed absolutely everything that crossed his path, things others would pass by without a shrug. Everything, everyone, and every story is sacred—maybe religious and always soul-shaking. To perceive in this way is a gift—let’s say it’s Holy. Here is a poem he wrote in A Shimmer of Something. Lean Stories Of Spiritual Substance about tiny unnoticeable events of eternal magnitude. Call these poems Incarnation, Resurrection, Creation—or just plain Life, true and on the bone. Or, hey, listen, here’s a story for you. Which the cat then presents as a prize. The sparrow, who objects strenuously. Later when you say now here’s a story . . .
Brian was born in New York, my own home city, in 1956. He has been the editor of the University of Portland’s (that’s Oregon) quarterly Portland magazine since 1991. Author Annie Dillard called this “the best spiritual magazine in the country.” Brian died on May 27th, 2017 at age 60 of complications related to a brain tumor. He leaves his wife and three children. Here's the obituary link.